In Florida, the family of nine-year-old Jessica Marie Lunsford, who disappeared from her bedroom, is pleading for her return. Hundreds of police and volunteers combed the area for clues but suspended the physical search when darkness fell. More than 100 police and volunteers searched the local area, including numerous marshes and ponds, with assistance from bloodhounds and helicopters. Police recovered the body of a white female from a lake in Hillsborough County, some 50 miles to the south, but authorities quickly determined it was not Jessica's. It appeared to be that of an adult. A national missing child alert has been issued to law enforcement agencies nationwide but officials stopped short of putting out an Amber Alert, which is broadcast on radio and television and included on highway information signs. 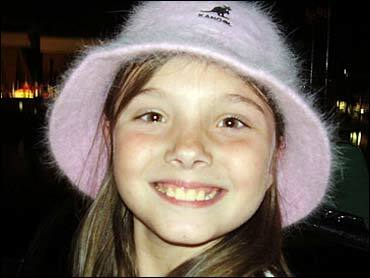 The father and grandparents of Jessica Marie Lunsford cried as they described a girl who they say would never run away. "I want my daughter home," said Mark Lunsford, who discovered the third-grader missing Thursday morning. "If there is anything anybody knows, there are a lot of numbers you can call. Help me find my daughter and bring her home." Jessica lives in the house with her father and his parents. She was last seen by her grandparents, before she went to bed Wednesday night. They said they put her to bed after she returned from a church function. Her father told authorities he had returned Thursday morning from a girlfriend's home, coming in through the locked back door as he usually does, and was getting ready for work when he realized his daughter's alarm clock was sounding and she wasn't there. The clothes she had laid out for school were still in place and none of her shoes were gone. Citrus County Sheriff Jeff Dawsy said Lunsford's story checked out. A search for the girl continued Friday; a national missing child alert was issued. A search in the foggy woods near her home has yielded nothing. Jessica's grandmother Ruth Lunsford said the girl is a well-mannered child "who doesn't roam." She had attended church Wednesday night and had asked her grandmother to tuck her in when she was ready for bed. "When God made Jessie, he made an angel," her grandmother said. "We have always called her Princess." Dawsy said the girl's mother, Angie Lunsford, had been located in Ohio and was being interviewed by the FBI. He gave no details. Sheriff Jeffrey Dawsy of the Citrus County Sheriff's Department tells CBS News Early Show co-anchor Hannah Storm that the mother is not an integral part of Jessica's life. Officials stopped short of putting out an Amber Alert. Florida's Amber Plan is activated when there is a detailed vehicle or abductor description to disseminate through broadcasters and highway information signs.